When fixing used cars for resale or giving customer cars a professional clean-up you often have to deal with persistent odours. The ozone generator eliminates smells effectively and without any chemicals and harmful residues. The handy unit (now also available as a heavy-duty version in a stainless steel housing) forces ozone into in the vehicle’s air duct. The highly reactive, triple-bonded oxygen has the ability to oxidise organic substances. In the process it neutralises bacteria, mould, viruses and other microorganisms – which are the source of the smell. The method is also effective against fungal spores, bacteria and virus strains that have become resistant to certain active substances. 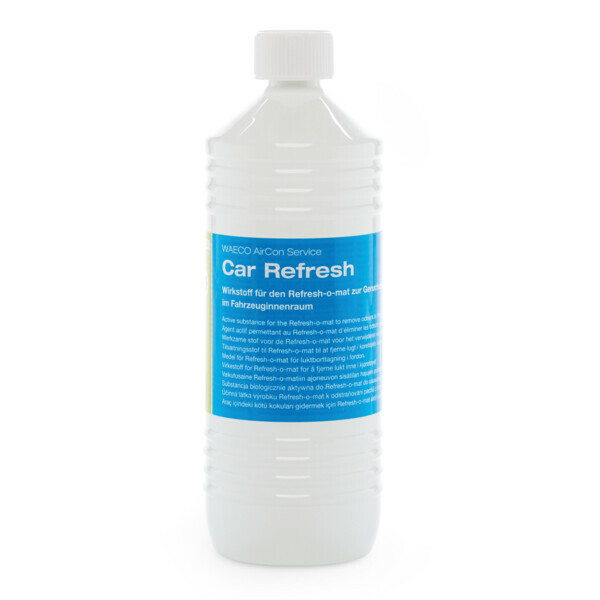 A proven tool to neutralise smells in passenger compartments is the WAECO Refresh-o-mat. The ultrasonic atomiser is available in two different versions: as a compact unit in a practical workshop case or as a heavy-duty model enclosed in a robust stainless steel housing.